The Defence and Security Accelerator (DASA) does things differently to find and fund exploitable, innovative ideas to overcome defence and security challenges across government. Launched in December 2016, it was created by the Ministry of Defence (MOD) and is supported by a number of other departments, including the Home Office and the Department for Transport. DASA delivers funding competitions and events to find the very best innovative solutions to turn into usable technologies and services. In July 2017, DASA responded quickly to the terrorist attacks in Manchester and London. Within 3 weeks of the attacks it had scoped, consulted on, secured £1 million in funding for, and launched the Improving Crowd Resilience competition. Seven out of 40 suppliers were successful in the Home-Office-funded competition and are developing solutions for demonstration in May and November this year. By reaching out beyond traditional defence and security suppliers, DASA unearths the brightest opportunities and brings together talented, like-minded people. Last year, 40% of the 155 contracts awarded went to new suppliers. Industry, academia and small and medium-sized enterprises (SMEs) shared £19.2 million in research and development, funding ideas on paper to ready-to-use products. Overall, 58% of funding was awarded to SMEs, supporting UK economic growth by investing in innovation throughout the country. For the private sector and academia, DASA offers a clear route into government defence and security, access to people with knowledge and skills, and potential funding to develop an idea. All the intellectual property remains with the supplier, and they do not usually require co-investment or match funding, making it easier for suppliers of all sizes to enter competitions. DASA helps businesses grow, not just through funding, but by offering business support, access to end-users, technical expertise, and help in building links between business need and innovations being developed. Additionally, with suppliers’ agreement, they share their proposals with partners and allies, potentially opening up new markets, including exports. This is good for suppliers, customers and UK plc. In just one year, by collaborating and forging partnerships, DASA has become part of a thriving innovation community. It is fast becoming the go-to body for policy-makers in government, and end-users in the military, police and security services, for new solutions to defence and security needs. To help defence and security professionals, DASA is making itself visible and accessible. It is reaching out across the UK, embedding itself in the private sector, with start-ups and spin-outs, at innovation hubs and science parks, seeking out the best ideas, products or services, wherever they are to be found. It now has regional Innovation Partners and plans to open a London hub. DASA organises competitions and events, including hackathons, ‘sandpits’ and pitch panels, to explore and develop ideas. Efficient commercial processes mean that it can place contracts within three weeks of the decision to fund. The Open Call for Innovation offers a way for anyone with a good idea that falls outside the scope of one of DASA's themed competitions to pitch for funding to defence and security decision-makers. DASA is still young. But by prospecting for new ideas, piloting new ways of doing things and learning as it goes, it has the potential to make a real difference to frontline defence and security services. DASA’s first themed competition, Revolutionise the human information relationship for Defence, was launched in January 2017. Sponsored by Joint Forces Command and funded by the Defence Innovation Initiative, this £6-million competition aimed to find new technologies, processes and ways of operating to improve defence staff’s ability to analyse and exploit data to inform decision-making. Seven organisations were awarded Phase 1 fast-track contracts. Two suppliers received Phase 2 funding to continue development (see case studies, below). 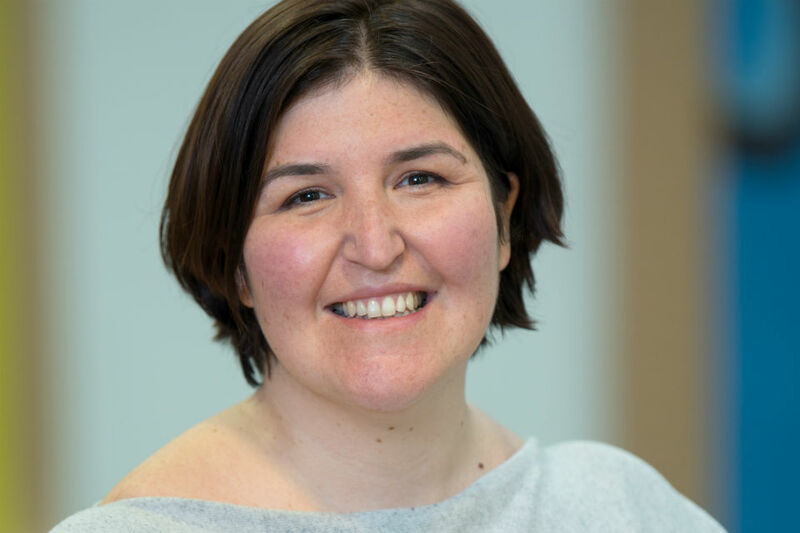 London-based decisionLab uses progressive data science, analytical modelling and operational research to build business tools to improve decision-making. Through DASA’s first themed competition, this small consultancy has received both Phase 1 and Phase 2 funding for its unified asset health model and risk forecasting tool ‘neural network’. It’s estimated that this DASA-funded innovation could save the public purse a significant amount for an investment to date of just over £500,000. decisionLab’s Phase 1 proposal was designed to improve safety in defence aviation by forecasting the risk of faults. They could see that, with some research and development, their neural network would allow aircraft engineers and maintenance personnel to view the status of systems and their predicted health a day, a week, or even a fortnight in advance. As well as improving safety, this would offer cost and efficiency savings in maintenance scheduling and keep aircraft airborne for longer. This repurposing of technology from the civilian to the military market was an excellent opportunity for diversification and growth. Strong exploitation opportunities were clear, as decisionLab had previously partnered with Rolls-Royce, and was moving ahead with prototype deployments in both civil and defence systems. Rolls-Royce offered data, expertise and deployment opportunities. After a successful Phase 1 project and demonstration, it was apparent to stakeholders that decisionLab’s Phase 2 proposal had naval as well as aviation applications. 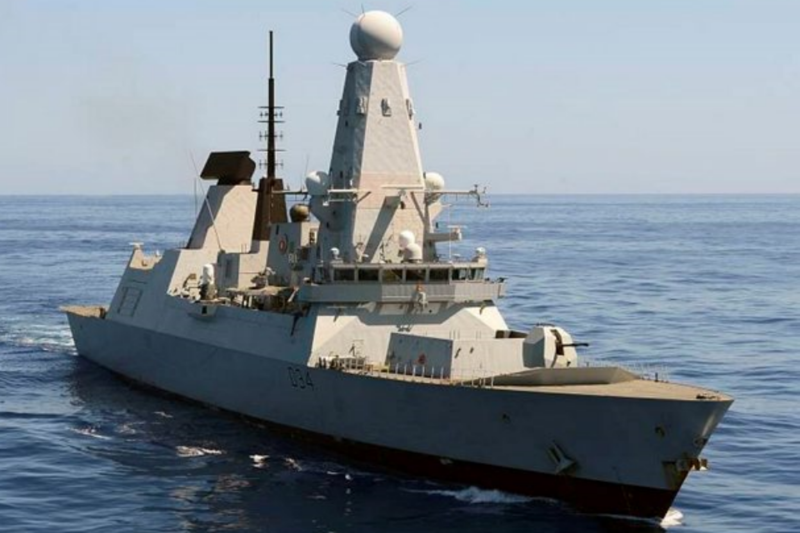 Seeing this opportunity, the Royal Navy invested £150,000 in the development of the neural network for use on board a Type 45 destroyer. A Royal Navy ship is incredibly complex, and the Type 45’s systems can record 10 million data points a day. With such a huge and complex dataset, the type of machine-learning offered by the neural network will likely have a significant impact on maintenance schedules and support, improving capability, saving money and delivering efficiency. As part of the Phase 2 project, decisionLab is training its neural network on 1.8 billion lines of Type 45 Platform Management System data. Each day the system gets smarter and more capable. The plan is to install it on HMS Diamond for a trial this summer. Under the fast track of DASA’s first competition, independent research technology company Montvieux was awarded funding to develop its ‘predictive cognitive control system’ in partnership with the Centre of Intelligence Innovation. The system aims to alert intelligence analysts to anomalies or activity in potential areas of interest, before an incident occurs. It automatically analyses data from multiple streams simultaneously and operates all day, every day. If successful, this system will be able to perform at a scale and speed way beyond human analysts with access to all available intelligence sources. As part of Phase 2, the system is being tested on the operational network at RAF Wyton and is showing new capabilities to Defence Intelligence analysts on a daily basis. The project is a great example of collaboration between DASA, the competition sponsors, Joint Forces Command, and the front lines working to turn technology into true capability. Joint Forces Command’s deployment of this technology will allow real users to test the technology in both a representative and operational environment while demonstrating the defence value of the technology. It’s anticipated that this kind of system could be applied to any problem where all-source text analysis is being used to predict an incident or outcome. 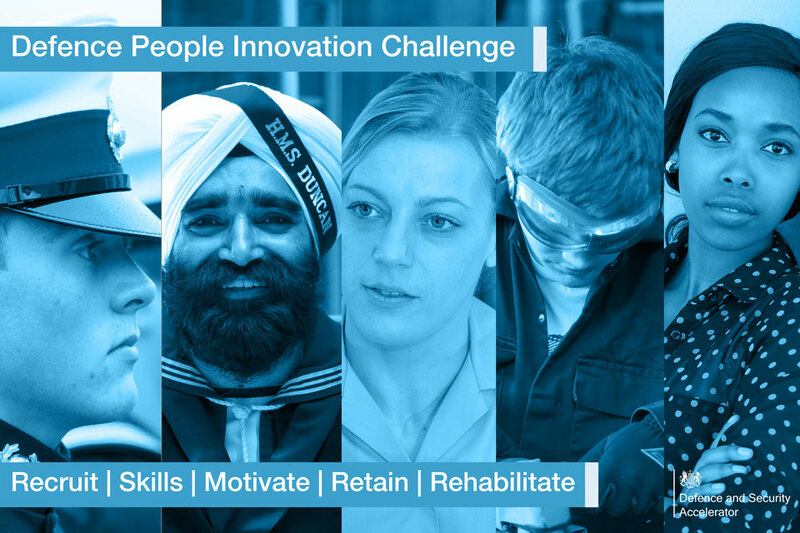 MOD Defence People Challenge – a people-based competition with five sub-challenges focused on rehabilitation, skills, retention, recruitment, and motivation. It is looking for innovative ideas on how best to manage people, in both military and civilian contexts. 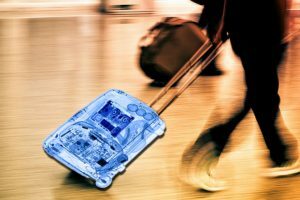 A joint Home Office and Department for Transport competition funded research into new technology to bolster airport security and speed up passenger screening. To find explosives hidden in electrical items in hand luggage. Improving Crowd Resilience – a Home Office competition to reduce the threat from terrorist or malicious use of explosives and weapons in public places, using the crowd as a sensor. 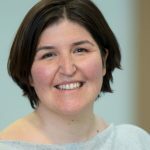 Synthetic biology for transparent materials – a competition to identify materials that are thinner, lighter and offer ballistic protection to produce transparent armour. Beyond battery power – a competition to identify technology that will reliably extend the battery life and power of portable and robotic autonomous systems such as mobile phones. 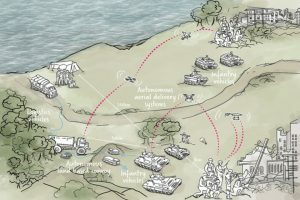 ‘Last mile’ resupply at the front line – a British Army challenge to design pioneering technology to get vital supplies to soldiers on the front line; 25 projects were funded in Phase 1, to develop projects including: autonomous hover-bikes, unmanned air and ground vehicles; novel means of autonomously loading and unloading; navigating and delivery ordering, management and control using app-based technologies. As I was reading of the competition Defence People Challenge, I was wondering how much of what is proposed here could apply in education. Education at present follows lax discipline, which is not the best to achieve the best results. The BBC has published recently on how rational crowds are. Putting Defence People Challenge and Crowd rationality together, perhaps it could be possible to create a strategy of how to invigorate young adults and teenagers to be more effort-conscious and resilient. Thank you very much for the weekly access to Government.UK papers.